Partnering with the Atlantic Cup, Warrior Sailors are interning with the organizing team, Manuka Sports Event Management. 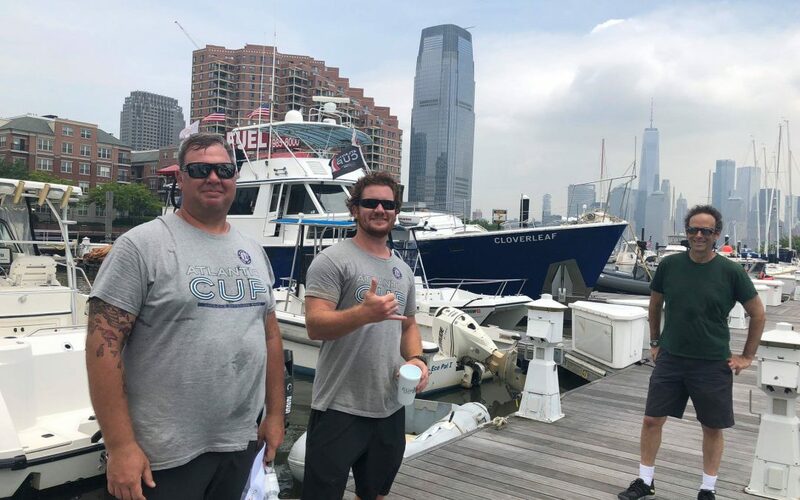 Nick Trado and Bryan Stuart have been working for 3 weeks following the Atlantic Cup from headquarters in Newport, to Charleston, SC, to New York, and then to Maine. Nick Trado reports that after long days of logistical work, he had the opportunity to skipper the class 40 Espirit Scout for a short sail. They raced in the Pro Am regatta and took 2nd place. Nick said, “That was amazing for my first race ever in a Class 40 but the basics are the same, it’s just a much bigger boat. Awesome job, Nick! Nick, Brian and Warrior Sailing would like to thank the Manuka Sports Event Management for this amazing opportunity, racing the Class 40, and meeting an incredible community of sailors. This was a great opportunity to translate their skills from the military while gaining experience in a high profile event. They will look forward to more summer sailing and working on the upcoming Pineapple Cup.